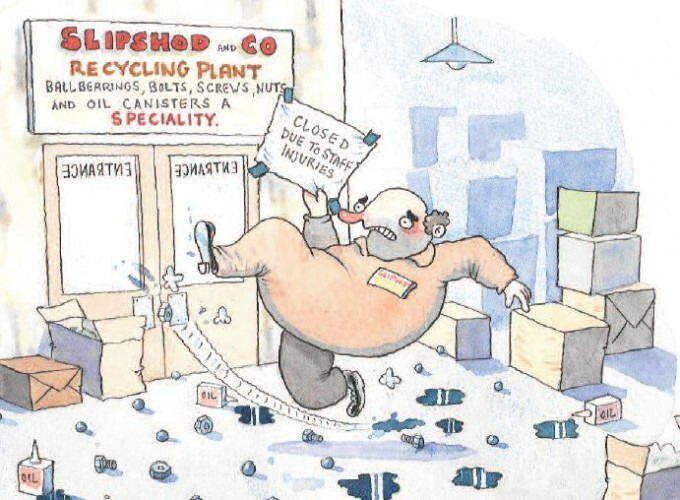 Most slips and trips are preventable and many happen when spills aren’t cleared up or clutter tidied away. Last year, there were four fatalities and more than 10 000 employees were seriously injured when they had a slip or trip at work. This results in broken bones and time off work, costing the economy around £800 million per year. Simple mistakes can shatter lives … your actions could help stop them from happening.